The castle looks familiar. At first glance, it appears to be Sleeping Beauty Castle, the centerpiece of Walt Disney’s Disneyland since the park opened in 1955. 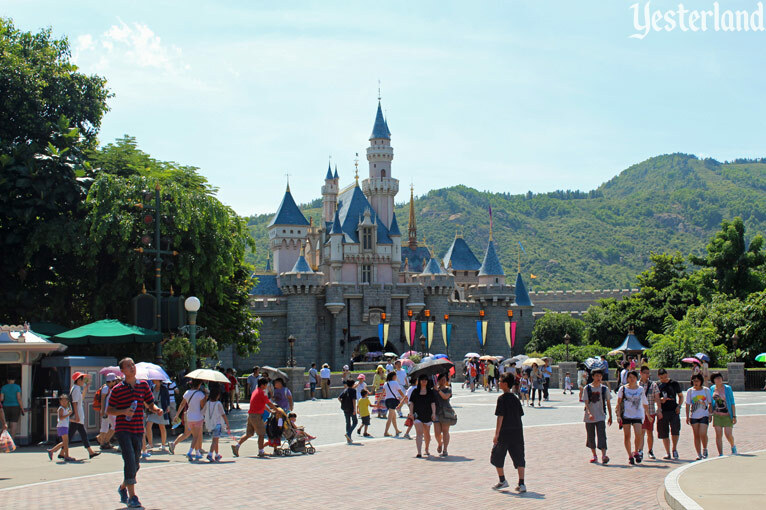 But this is Sleeping Beauty Castle at Hong Kong Yesterland. It’s the first and only Disney theme park centerpiece castle to be sent into retirement. 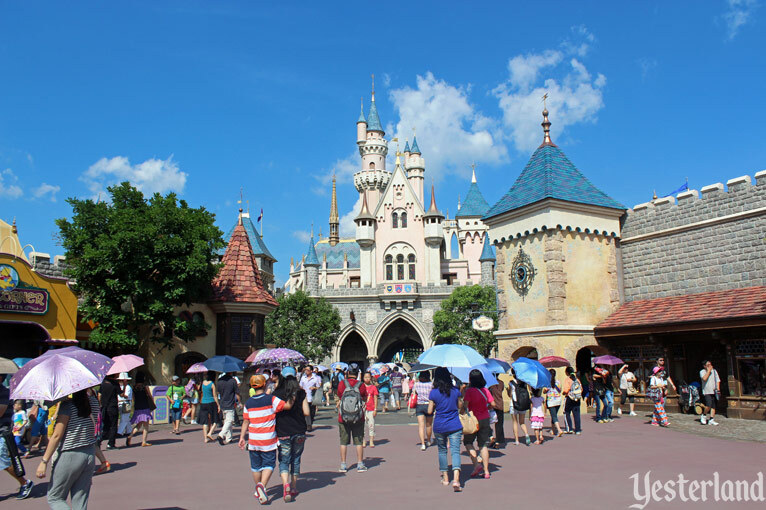 Hong Kong Sleeping Beauty Castle on a sunny day. The Lantau Mountains in the background are the first clue that this isn’t Anaheim. 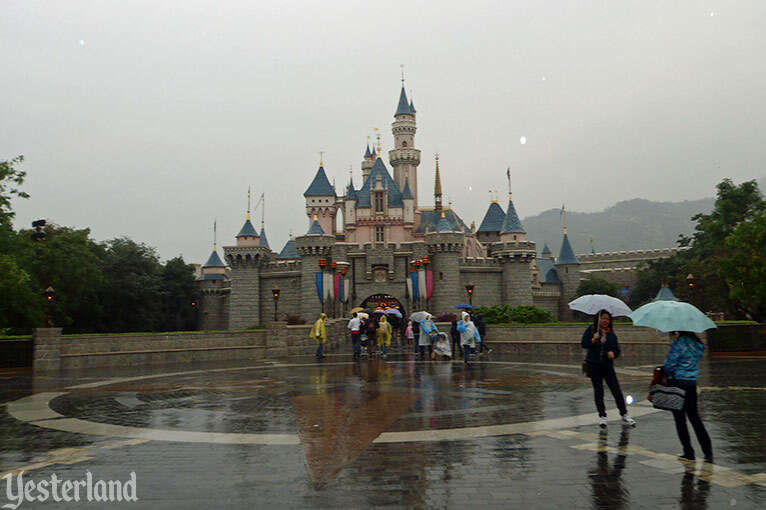 The second clue is that so many guests have umbrellas—not only when it’s raining, but also when it’s sunny. The other side of the castle also looks like the original. But there’s no Sleeping Beauty Castle Walk-Through here. And there’s no room for a restaurant or anything else that requires space. 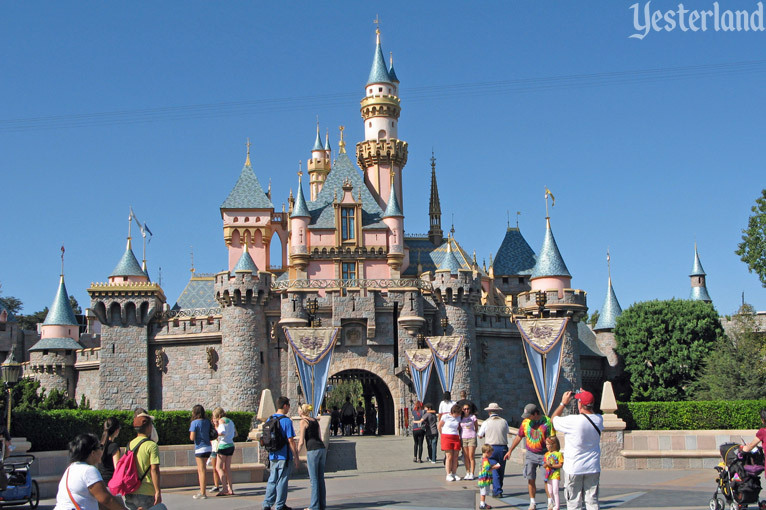 The original Sleeping Beauty Castle in Anaheim is a revered landmark with undeniable historical significance. It was the first. It was Walt Disney’s only castle. Generations of Disneyland guests have an emotional attachment to it. Even as the park around it has kept evolving, the castle has been constant, except for minor changes. That’s how it should be. But Sleeping Beauty Castle in Hong Kong? Not so much. 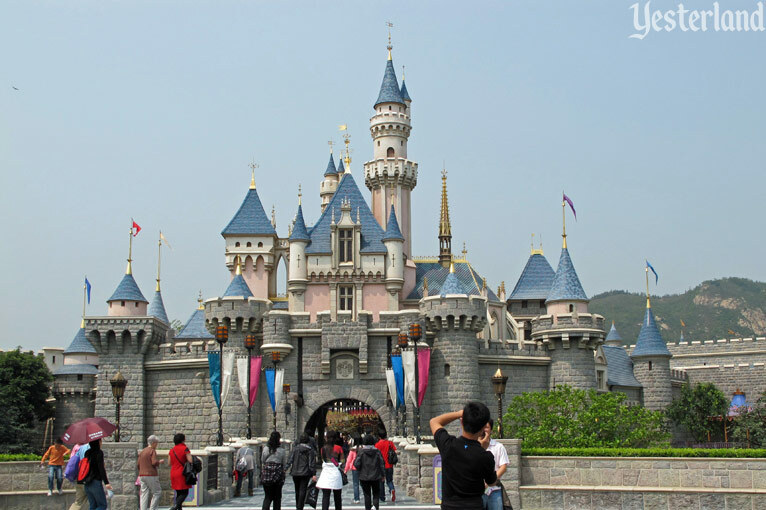 Sleeping Beauty Castle was the centerpiece of Hong Kong Disneyland when the park opened September 12, 2005—slightly more than 50 years after the original Disneyland in California, and around 7,000 miles away. 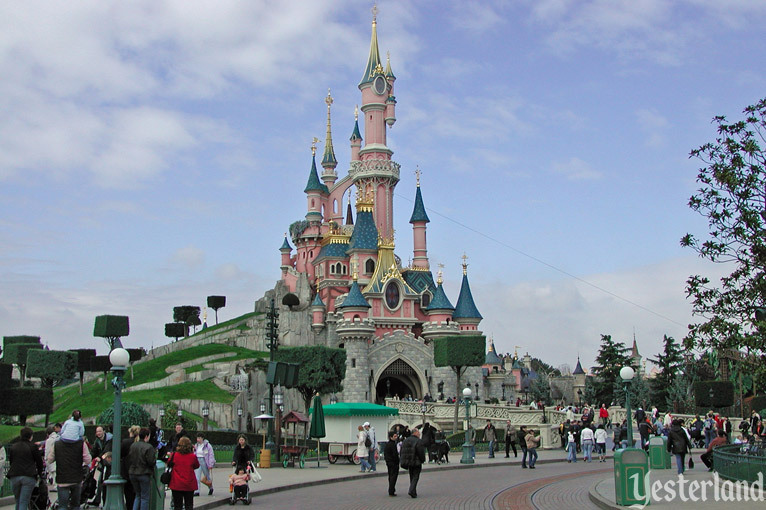 The first castle was created when Walt Disney designed the original Disneyland in California, which opened in 1955. From the beginning, Walt wanted a castle in his Park to serve as a soaring central point as his Guests stepped into a magical new world in which the classic Disney stories would come alive. Was it an honor for Hong Kong to get a replica of the original? Or was it just another cost-saving move at a park that would be criticized when it opened for its small size and scarcity of attractions? In the years between 1955 and 2005, Disney had constructed taller, more impressive castles at new parks. 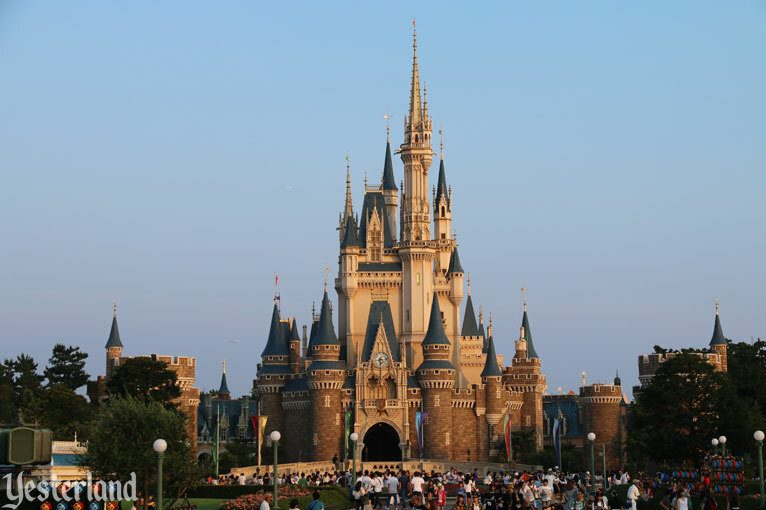 At Walt Disney World (1971) and Tokyo Disneyland (1983), “twin cousin” versions of Cinderella Castle are each around 185 feet tall—compared to just 77 feet for Walt Disney’s original castle. At Disneyland Paris (1992), an entirely new interpretation of Sleeping Beauty Castle is arguably the most fantastic Disney castle of all. 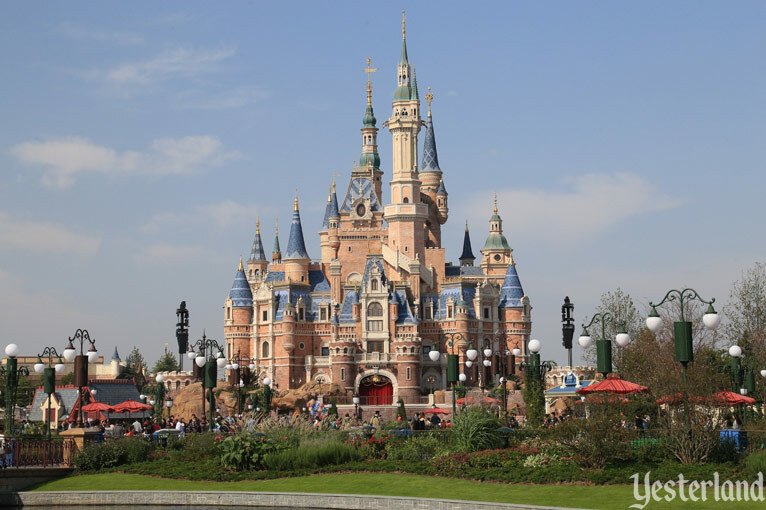 When Shanghai Disneyland opened in June 2016 as the second park in China, guests found the tallest (197 feet) Disney castle ever built—Enchanted Storybook Castle, representing all Disney princesses. The huge castle contains an interactive walkthrough attraction, Once Upon a Time Adventure, which is based on Walt Disney’s Snow White and the Seven Dwarfs. A boat ride, Voyage to the Crystal Grotto, travels beneath the castle. 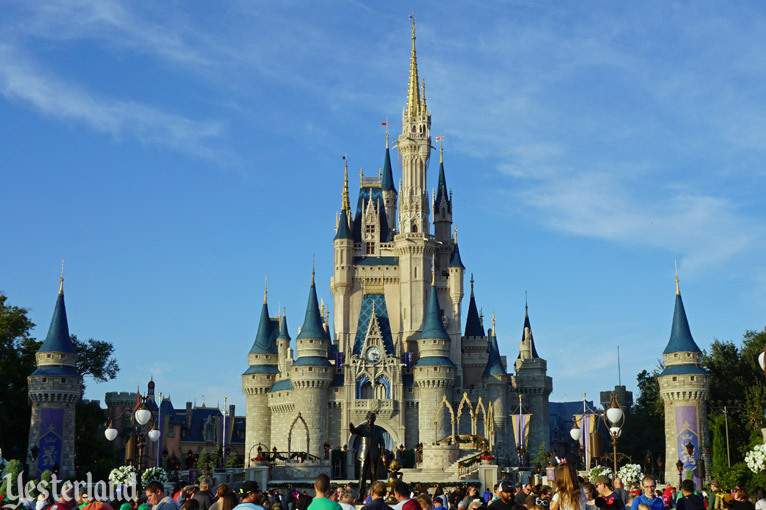 As if those aren’t enough, the castle is also home to character dining at the Royal Banquet Hall, young princess makeovers at Bibbidi Bobbidi Boutique, and an impressive interior space. And it’s the location for daytime and nightime shows. 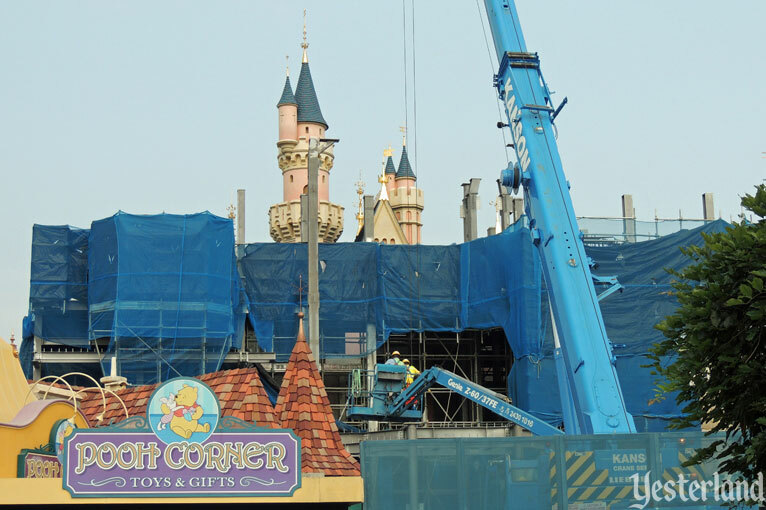 It made Sleeping Beauty Castle at Hong Kong Disneyland look rather puny. 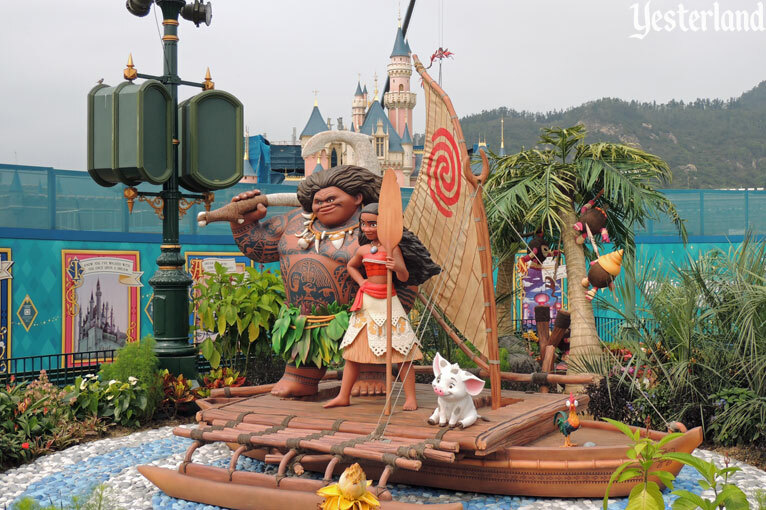 In the years since it opened in 2005, Hong Kong Disneyland had grown considerably. The park added one-of-a-kind attractions, including Mystic Manor, Big Grizzly Mountain Runaway Mine Cars, and the first Marvel attraction at any Disney park, Iron Man Experience. More changes were on their way. 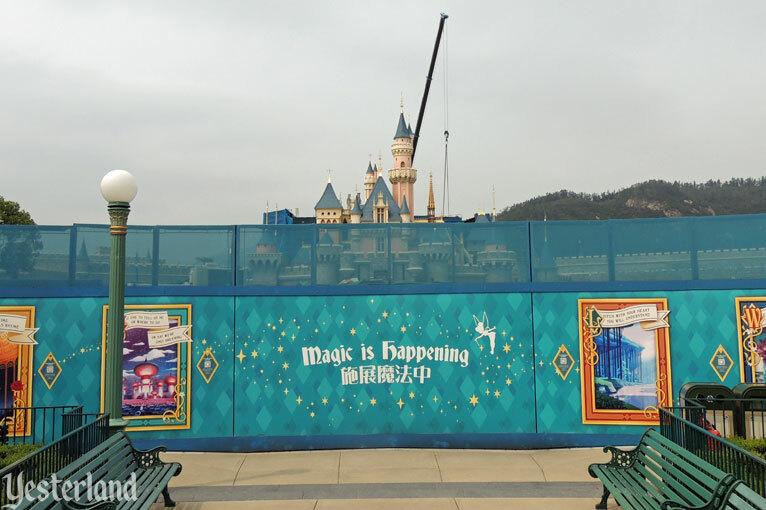 On November 22, 2016, Disney and the government of Hong Kong announced a multi-year project costing HK$10.9 billion, equivalent to approximately US$1.4 billion, with Disney and Hong Kong splitting the cost equally. The park would add a Frozen-themed land, a Marvel-themed land, and more. There you go! 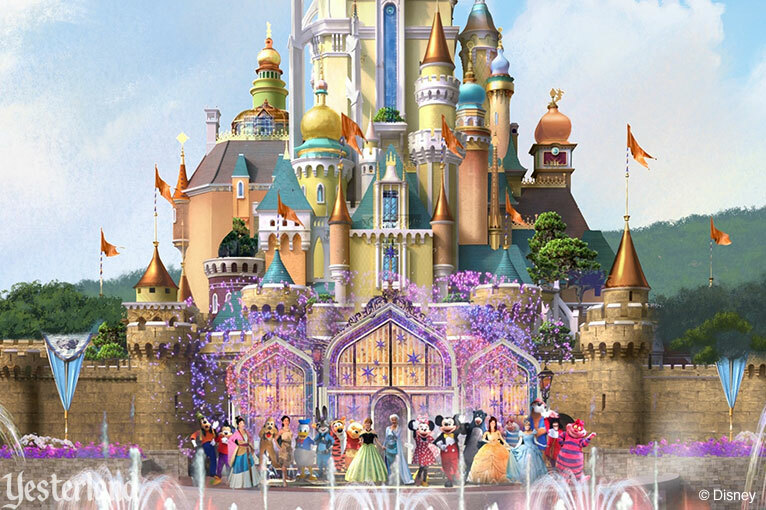 While the castle in Shanghai represents every Disney princess, the transformed castle in Hong Kong would represent every Disney prince too. If you look closely at the concept art, you’ll see that this really is a transformation. It’s not an entirely new castle. 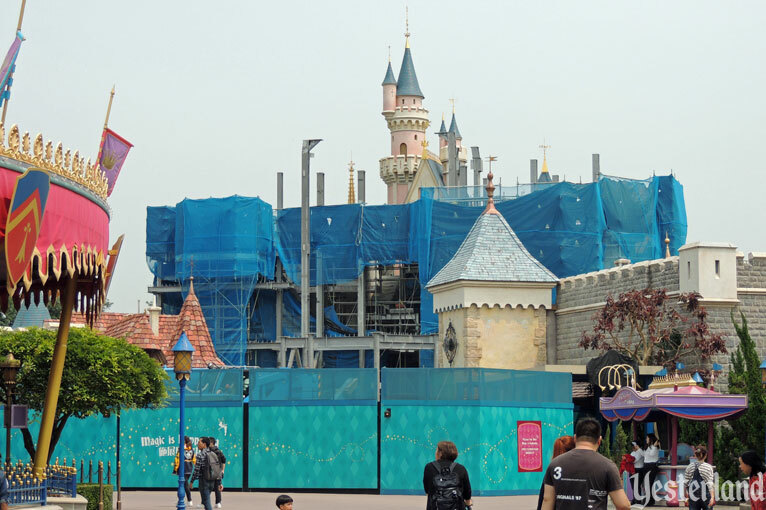 Sleeping Beauty Castle will be part of the new castle, but with a performance stage in front of it and an eclectic mix of architectural styles rising immediately behind it and towering above it. 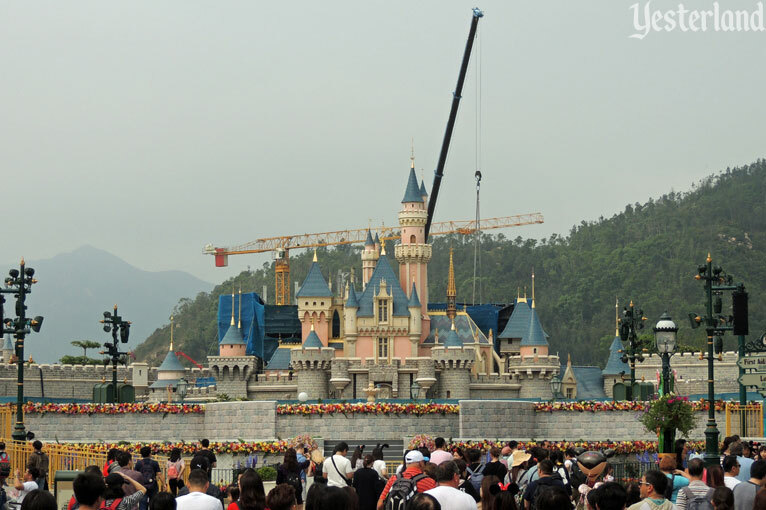 As the photos show, the castle in Hong Kong doesn’t look much like the concept art yet. But it’s only a matter of time. 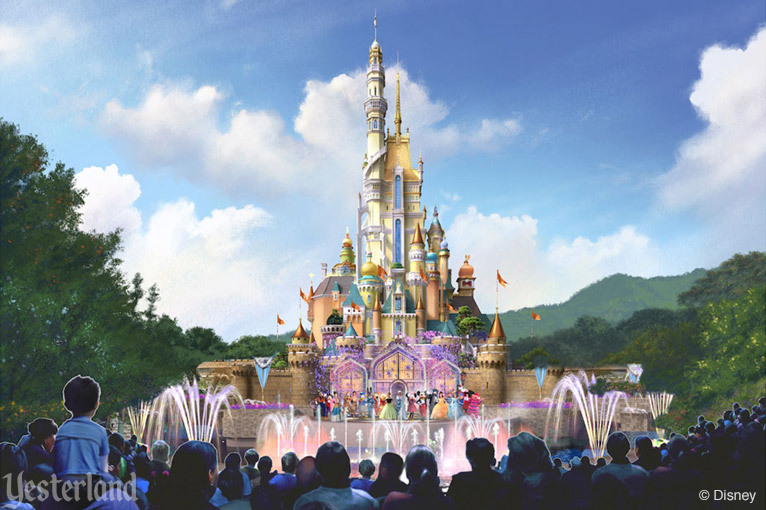 Then Hong Kong will be a player in the tall castle competition—and the original Disneyland in Anaheim will once again have a one-of-a-kind castle. Any photos used under Creative Commons Attribution-ShareAlike licensing may be reused under the same license as the original. Larger, higher-resolution versions of such images, without the Yesterland watermark, are available at Wikimedia Commons.